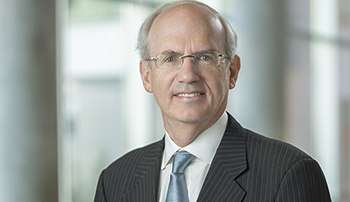 Jeffrey P. Gold, M.D., is chancellor of the University of Nebraska Medical Center (UNMC). Dr. Gold also chairs the board of UNMC’s principal clinical care partner, Nebraska Medicine. He is a nationally recognized leader and tireless advocate for transforming academic medicine and health care delivery. He is committed to enabling new inventions developed by researchers to be made and then globally dispersed. He is committed to ensuring the success of the Nebraska Nanomedicine Production Plant manufacturing facility. "The abilities to enable discoveries to move efficiently from the laboratory to the patient bedside is integral to our academic health center's mission. We applaud all those who have worked tirelessly to see the dream of a Nanomedicine Production Plant come to a highly functional reality. Terrific opportunities are ahead in using this facility to transform the health care of the future, here in Nebraska and around the world." 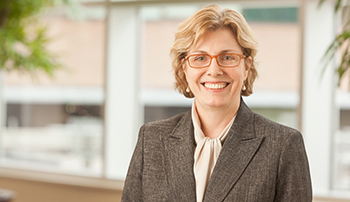 Jennifer Larsen, M.D., is the vice chancellor for research at UNMC. Dr. Larsen is an active clinical/translational investigator and former associate vice chancellor for clinical research. She was also the first associate dean for Clinical Research for the College of Medicine and is the director of the Center for Clinical and Translational Research. The Louise and Morton Degen Professor of Internal Medicine, Dr. Larsen has focused her research on the metabolic consequences of organ transplantation. Nationally, she has held multiple leadership positions within the American Federation of Clinical Research, the Association for Program Directors in Endocrinology and Metabolism, and The Endocrine Society. UNeMed Corporation is the technology transfer leader for UNMC and plays a role in the business development of Nebraska Nanomedicine Production Plant. Michael Dixon, Ph.D., UNeMed President and CEO, believes the NNPP has a unique opportunity available. There are few facilities approved for GMP nanoformulation development in the United States. The NNPP provides a heavily regulated service that is essential to pharmaceutical companies. Dr. Dixon believes that the unique upscale production of targeted formulations being handled by NNPP is the reason why its resources will be in high demand nationally. 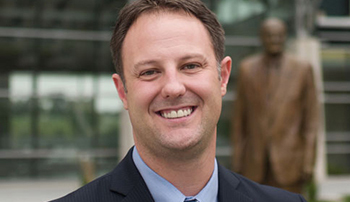 Matt Boehm, Ph.D., UNeMed Senior Licensing Specialist, helps NNPP connect with large pharmaceutical collaborators. Dr. Boehm has been advising NNPP since its foundation and is working toward a facility equipped to do small-scale production of GMP-quality materials to support trials of nanomedicine technologies.